Trends are quite important and the reason behind the fashion weeks of the world. They set the scene for how fashion is evolving in the next six months. However, in the past week or so, I read a couple of articles that pissed me off in the way they use for everything that appears. I know I’ve written a few trends pieces, of course, as when seasons and collections change, there are clear defined trends that leak and manifest across all the high street offers. Also, because now I feel very confident on my style, but I struggled at some point, to find my real self. The way I see it, my “trend” posts serve the purpose of inspiring uses of that “trend” incorporated in our daily wardrobes (as sometimes it is quite impossible to run away from them) and our personal styles. Does it suit my personality and personal style? Can I incorporate elements of it in my existing wardrobe? Is it something I will get a good wear out of? And that is the intention of my style/outfit posts. To give people ideas, maybe answer one of a few of those questions, maybe open them to something they wouldn’t try otherwise. Beauty trends, however, are a different beast altogether. Most of the super trends we see floating around are old styles revisited (the same, in fact goes for fashion), which is fine, but the hype around them as something new is not something I am very comfortable with. This causes “blind followers” or “sheep” (and sadly, there are many out there), to go into a frenzy, without considering their own personal characteristics and sometimes safety. Quite dangerous, as in beauty, you could end up looking like a clown (which if fab, if you are one! ), or even cause your skin some damage. Who remembers the Kylie Jenner lips contest? Lots of hurt, bruised lips around. Not good. Bold, defined brows? I am sure we all know someone who went a bit overboard on that! Candy light pink lips (MAC Snob, I’m looking at you)? Not many complexions take it very well. Many less than I saw around, I tell you. I wouldn’t dare get close to it. Don’t get me started on bubble nails. Yeah, Google that. Of course, being adventurous is the foundation of creativity. Never let that go. But also consider: is this really me? Do I feel comfortable with it? Does it suit my style? Try, ask for samples, experiment with stuff, know the provenance of the products/techniques/professionals you are using, tend to your budget and most importantly, make sure you are safe. There are many ways, from a shoestring budget to super expensive, to achieve a look, so don’t worry if money is the issue. Also, there isn’t anything more boring than looking at a bunch of people who all look exactly the same on their style. Create your own, be unique, be yourself. That is your best asset; that’s why people love you and why you should love yourself. 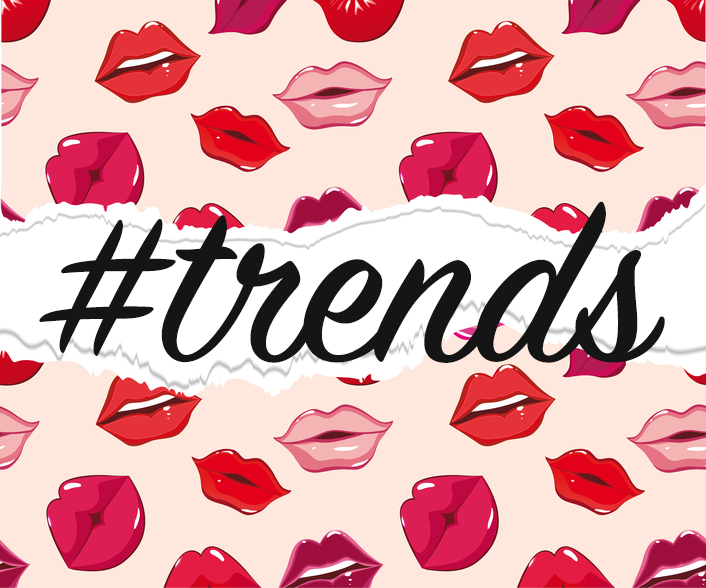 What’s your take on “trends”? Bubble nails – my days! Horrific! I remember the concealer lips trend back in the day, eeek! Oh, God, concealer lips *sigh*. Cannot believe the things I had on my face… I remember super thin, invisi-brows, no face definition, just powder too white for my tone and blue eyeshadow. My face looked like a (white chocolate) digestive biscuit. Thanks for visiting and commenting, I will check you blog out! Love this post. I gave up on being a slave to trends years ago, I think it’s a case of I know what suits me and what doesn’t now I’m that bit older. Having said that I do like to know what current trends are and incorporate where appropriate with my comfort zone. You see so many people walking around as if (insert high street shop name here/expensive designer) has vomited them out. Not cool. Although I find that part of shaping our style identity, some people never quite develop. With beauty however, is just dangerous – or plain ridiculous! You are very right – see what is around and make it your own style. Always wins!